A lot of patients come for consultations requesting “what is a good posture for a healthy back?” Natural daily activities require a lot of back motion, leading to a restless lumbar joint condition. Due to these continuous activities, many people naturally suffer from “discogenic back pain” by degenerative degradation of their intervertebral disc joints along with the aging process. What has already turned ‘black’ by aging or degeneration cannot be restored to its original ‘white’ or normal with present medical technology. However, there are measures for the prevention of further damage to discs. Here are some tips for maintaining ‘a good healthy back’ as suggested by the North America Spine Society. 1. Standing: keeping one foot forward of the other, with knees slightly bent, takes the pressure off your low back. 2. Sitting: sitting with your knees slightly higher than your hips provides good low back support. 3. Reaching: stand on a stool to reach things that are above your shoulder level. 4. Moving Heavy Items: pushing is easier on your back than pulling. Use your arms and legs to start the push. If you must lift a heavy item, get someone to help you. 5. Lifting: kneel down on one knee with the other foot flat on the floor as near as possible to the item you are lifting. Lift with your legs, not your back, keeping the object close to your body at all times. 6. Carrying: two small objects (one in either hand) may be easier to handle than one large one. If you must carry one large object, keep it close to your body. 7. Sleeping: sleeping on your back puts 55 lbs. of pressure on your back. Putting a couple of pillows under your knees cuts the pressure in half. Lying on your side with a pillow between your knees also reduces the pressure. 8. Weight Control: additional weight puts a strain on your back. Keep within 10 lbs. of your ideal weight for a healthier back. 9. Quit Smoking: smokers are more prone to back pain than nonsmokers because nicotine restricts the flow of blood to the discs that cushion your vertebrae. 10. Minor Back Pain: treat minor back pain with anti-inflammatories and gentle stretching, followed by an ice pack. 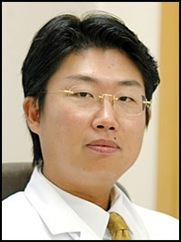 Dr. Lee June-ho is a neurosurgeon at Chungdam Wooridul Hospital.